Ettringite: Mineral information, data and localities. Colourless; colourless in transmitted light. After the type locality at Ettringen, Rhineland-Palatinate, Germany. Although it is generally assumed that a solid solution series between ettringite and thaumasite exists, both species have different space groups and a possible discontinuity was identified, characterised by a gap in the a-dimension of the solid-solution phases (Barnett et al., 2000). Further work showed a miscibility gap in the solid solution (Barnett et al., 2003): ettringite can accept the replacement of 1/2 its Al by Si, while thaumasite tolerates little or no Al in its structure. The Al analogue of bentorite. The S (sulfate) analogue of siwaqaite. Well-known as a synthetic phase in concrete. Has been discussed as a potential phase for immobilisation of toxic metals. Visit gemdat.org for gemological information about Ettringite. Turns white upon partial dehydration. Becomes uniaxial positive on dehydration. 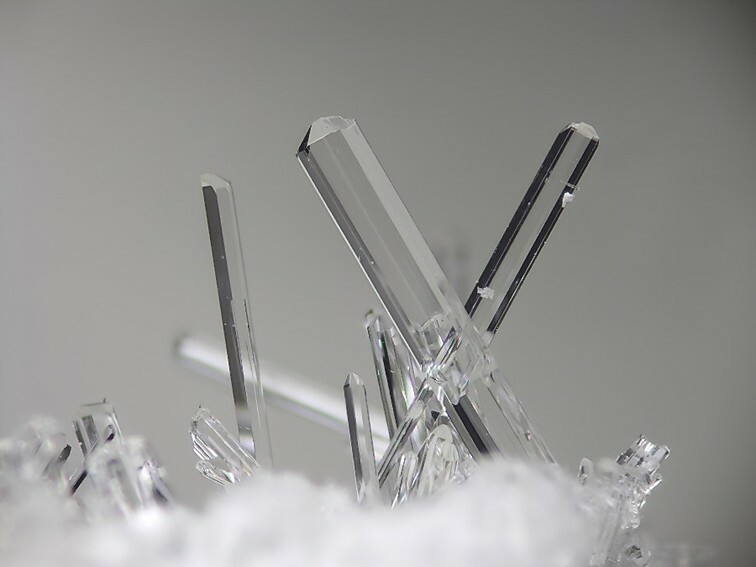 Crystals small and prismatic , commonly without terminal faces. In cavities of metamorphosed limestone inclusions in a leucite-nepheline-tephrite rock. Jouravskite Ca3Mn4+(SO4)(CO3)(OH)6 · 12H2O Hex. Calcite 60 photos of Ettringite associated with Calcite on mindat.org. Oyelite 39 photos of Ettringite associated with Oyelite on mindat.org. Hematite 19 photos of Ettringite associated with Hematite on mindat.org. Hausmannite 19 photos of Ettringite associated with Hausmannite on mindat.org. Manganite 16 photos of Ettringite associated with Manganite on mindat.org. Gaudefroyite 15 photos of Ettringite associated with Gaudefroyite on mindat.org. Baryte 12 photos of Ettringite associated with Baryte on mindat.org. Brucite 11 photos of Ettringite associated with Brucite on mindat.org. Quartz 9 photos of Ettringite associated with Quartz on mindat.org. Sturmanite 8 photos of Ettringite associated with Sturmanite on mindat.org. 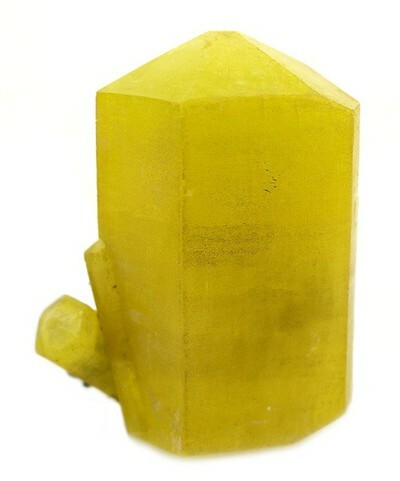 25.4.6 Eugsterite Na4Ca(SO4)3 · 2H2O Mon. Readily soluble in dilute acids. Partially decomposed by water, rendering an alkaline solution. Vom Rath, G. (1873) Über ein neues Mineral (Chalkomorphit) auf einem Einschluß in der Lava von Niedermendig. Annalen der Chemie und Physik, Ergänzungsband VI: 376-378. Lehmann, J. (1874) Untersuchungen über die Einwirkung eines feurig-flüssigen basaltischen Magmas auf Gesteins- und Mineraleinschlüsse. Verhandlungen des naturhistorischen Vereins der preußischen Rheinlande und Westfalens, in Kommission bei M. Cohen: 31: 1-40. Lehmann, J. (1874) Über den Ettringit, ein neues Mineral in Kalkeinschlüssen der Lava von Ettringen (Laacher Gebiet). Neues Jahrbuch für Mineralogie, Geologie und Paläontologie: 273-275. Moses, A.J. (1893) Mineralogical notes. American Journal of Science: 45: 488-492. Brauns, R.A. (1922) Die Mineralien der niederrheinischen Vulkangebiete. 225pp., 4to, Stuttgart: 173. Bannister, M.A. (1936) Ettringite from Scawt Hill, Co. Antrim. Mineralogical Magazine: 24: 324-329. Palache, C., Berman, H., Frondel, C. (1951) The System of Mineralogy of James Dwight Dana and Edward Salisbury Dana, Yale University 1837-1892, Volume II. John Wiley and Sons, Inc., New York, 7th edition, revised and enlarged, 1124 pp. : 589-590. Murdoch, J., Chalmers, R.A. (1960) Ettringite (“woodfordite”) from Crestmore, California. American Mineralogist: 45: 1275-1278. McConnell, D., Murdoch, J. 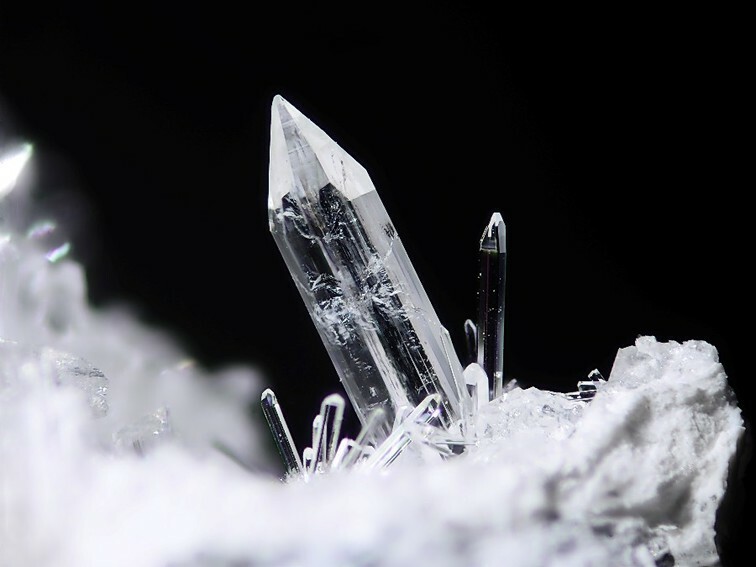 (1962) Crystal chemistry of ettringite. Mineralogical Magazine: 33: 59-64. Carpenter, A.B. (1963) Oriented overgrowths of thaumasite on ettringite. American Mineralogist: 48: 1394–1396. Moore, A., Taylor, H.F.W. (1968) Crystal structure of ettringite. Nature: 218: 1048-1049. Moore, A.E., Taylor, H.F.W. (1970) Crystal structure of ettringite. Acta Crystallographica: B26: 386-393. Taylor, H.F.W. (1973) Crystal structures of some double hydroxide minerals. Mineralogical Magazine: 39: 377-389. Kumarathasan, P., McCarthy, G.J., Hassett, D.J., Pflughoeft-Hassett, D.F. (1990) Oxyanion substituted ettringites: synthesis and characterization; and their potential role in immobilization of arsenic, boron, chromium, selenium and vanadium. Mater. Res. Soc. Symp. Proc. 178 (Fly Ash and Coal Conversion By-Products): 83-104. McCarthy, G.J., Hassett, D.J., Bender, J.A. (1992) Synthesis, crystal chemistry and stability of ettringite, a material with potential applications in hazardous waste immobilization. Mater. Res. Soc. Symp. Proc. : 245: 129-140. Myneni, S.C.B., Traina, S.J., Waychunas, G.A., Logan, T.J. (1998) Vibrational spectroscopy of functional group chemistry and arsenate coordination in ettringite. Geochimica et Cosmochimica Acta: 62: 3499-3514. Barnett, S.J., Adam, C.D., Jackson, A.R.W. (2000) Solid solutions between ettringite, Ca6Al2(SO4)3(OH)12·26H2O, and thaumasite, Ca3SiSO4CO3(OH)6·12H2O. Journal of Materials Science: 35: 4109-4114. Barnett, S.J., Adam, C.D., Jackson, A.R.W. (2001) An XRPD profile fitting investigation of the solid solution between ettringite, Ca6Al2(SO4)3(OH)12.26H2O and carbonate ettringite, Ca6Al2(CO3)3(OH)12.26H2O. Cement and Concrete Research: 31: 13-17. Antao, S.M., Duane, M.J., Hassan, I. (2002) DTA, TG, and XRD studies of sturmanite and ettringite. The Canadian Mineralogist: 40: 1403-1409. Grier, D.G., Jarabek, E.L., Peterson, R.B., Mergen, L.E., McCarthy, G.J. (2002) Rietveld structure refinement of carbonate and sulfite ettringite. Advances in X-ray Analysis: 45: 194-199. Barnett, S.J., Macphee, D.E., Lachowski, E.E., Crammond, N.J. (2002) XRD, EDX and IR analysis of solid solutions between thaumasite and ettringite. Cement and Concrete Research: 32: 719-730. Barnett, S.J., Macphee, D.E., Crammond, N.J. (2003) Extent of immiscibility in the ettringite–thaumasite system. Cement and Concrete Composites: 25: 851-855. Zhou, Q., Lachowski, E.E., Glasser, F.P. (2004) Metaettringite, a decomposition product of ettringite. Cement and Concrete Research: 34: 703-710. Goetz-Neunhoeffer, F., Neubauer, J. (2006) Refined ettringite (Ca6Al2(SO4)3(OH)12•26H2O) structure for quantitative X-ray diffraction analysis. Powder Diffraction: 21: 4-11. Hartman, M.R., Berliner, R. (2006) Investigation of the structure of ettringite by time-of-flight neutron powder diffraction techniques. Cement and Concrete Research: 36: 364-370. Moschner, G., Lothenbach, B., Winnefeld, F., Ulrich, A., Figi, R., Kretzschmar, R. (2009) Solid solution between Al-ettringite and Fe-ettringite (Ca6[Al1-xFex(OH)6]2(SO4)3.26H2O). Cement and Concrete Research: 39: 482-489. Scholtzová, E., Kucková, L., Kožíšek, J., Tunega, D. (2015) Structural and spectroscopic characterization of ettringite mineral – combined DFT and experimental study. Journal of Molecular Structure: 1100: 215-224. Skibsted, J., Pedersen, M.T., Holzinger, J. (2017) Resolution of the two aluminum sites in ettringite by 27Al MAS and MQMAS NMR at very high magnetic field (22.3 T). Journal of Physical Chemistry C: 121: 4011-4017. Geng, G., Myers, R.J., Kilcoyne, A.L.D., Ha, J., Monteiro, P.J.M. (2017) Ca L2,3-edge near edge X-ray absorption fine structure of tricalcium aluminate, gypsum, and calcium (sulfo)aluminate hydrates. American Mineralogist: 102: 900-908. G. Diego Gatta, Ulf Hålenius, Ferdinando Bosi, Laura Cañadillas-Delgado, Maria Teresa Fernandez-Diaz (2019): Minerals in cement chemistry: A single-crystal neutron diffraction study of ettringite, Ca6Al2(SO4)3(OH)12·27H2O. American Mineralogist 104, 73-78. The following Ettringite specimens are currently listed for sale on minfind.com. Kolitsch, U. (2016): 1989) Ettringit aus einer Schlacke von Eisenerz, Steiermark. Pp. 235-236 in Walter, F. et al. (2016): Neue Mineralfunde aus Österreich LXV. Carinthia II, 206./126., 203-250. Grünhagen, H. and Mergoil, J. (1963) Découverte d'hydrocalumite et afwillite associées à l'ettringite dans les porcélanites de Boisséjour près Ceyrat (Puy de Dôme). Bulletin de la Société Française de Minéralogie et de Cristallographie, 86, 149-157.; Belot, Victor R. (1978) Guide des minéraux, coquillages et fossiles: où les trouver en France, comment les reconnaître et les collectionner (Guides Horay). Pierre Horay (Ed. ), 224 pp. ⓘ Puech de Vermus ? 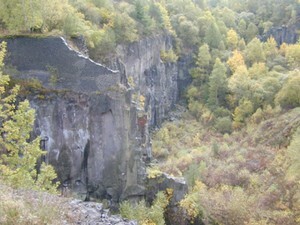 International Association of Collectors of Slag; Blaß, G. & Graf, H. W. (1995): Neufunde von Schlackenhalden in der nördlichen Eifel (II). Mineralien-Welt, 6 (3), 28-31. Laurion The minerals in the ancient slags by Piet Gelaude etc. Gross, S. (1977): The Mineralogy of the Hatrurim Formation, Israel. Geological Survey of Israel, Bulletin no. 70, 80 pp. ; Mineralogical Magazine 1963 33 : 723-724. Sokol, E.V., Seryotkin, Y.V., Kokh, S.N., Vapnik, Ye., Nigmatulina, E.N., Goryainov, S.V., Belogub, E.V., Sharygin, V.V. (2015): Flamite, (Ca,Na,K)2(Si,P)O4, a new mineral from ultrahigh-temperature combustion metamorphic rocks, Hatrurim Basin, Negev Desert, Israel. Mineralogical Magazine, 79, 583-596. Barbieri M., Voltaggio M. (1982): Ettringite dell'Acqua Acetosa (Colli Albani, Roma). Per. Mineral., 51, 2, 205-216. Franzini, M., Perchiazzi, N. (1992): I minerali delle scorie ferrifere etrusche di Baratti (Livorno). Atti della Società Toscana di Scienze Naturali, Memorie, Serie A, 99, 43-77. Boscardin, M., Daleffe, A., Rocchetti, I., Zordan, A. (2011): Minerali del Vicentino - Aggiornamenti, località e nuove determinazioni. Museo di Archeologia e Scienze Naturali “G. Zannato”, Montecchio Maggiore (Vicenza), 183 pp. ; Zordan, A. (2014): Provincia di Vicenza. In: Zorzi, F., Boscardin, M., (eds. ), Minerali del Veneto. Alla scoperta dei tesori della nostra regione. Museo di Storia Naturale e Archeologia di Montebelluna - Treviso, Cierre Edizioni, Sommacampagna, 173-246. Khoury, H. N. (2014). Geochemistry of Surficial Uranium Deposits from Central Jordan. http://www.natural-analogues.com/maqarin.htm; Khoury, H. N., Salameh, E., & Abdul-Jaber, Q. (1985). Characteristics of an unusual highly alkaline water from the Maqarin area, northern Jordan. Journal of Hydrology, 81(1), 79-91.; Pitty, A. F., & Alexander, W. R. (2010). A natural analogue study of cement buffered, hyperalkaline groundwaters and their interaction with a repository host rock IV: an examination of the Khushaym Matruk (central Jordan) and Maqarin (northern Jordan) sites. NDA-RWMD Technical Report, NDA, Moors Row, UK. ; Khoury, H. and Nassir, S. (1982): High temperature mineralization in the bituminous limestone in Maqarin area - North Jordan. Neues Jahrbuch für Mineralogie, Abhandlungen, 144, 197-213. Ella V. Sokol, Olga L. Gaskova, Svetlana N. Kokh, Olga A. Kozmenko, Yuri V. Seryotkin, Yevgeny Vapnik, and Michail N. Murashko (2011): Chromatite and its Cr3+- and Cr6+-bearing precursor minerals from the Nabi Musa Mottled Zone complex, Judean Desert. American Mineralogist, 96, 659-674. Galuskin, E. V.; Gazeev, V. M.; Lazic, B.; Armbruster, T.; Galuskina, I. O.; Zadov, A. E.; Pertsev, N. N.; Wrzalik, R.; Dzierzanowski, P.; Gurbanov, A. G. & Bzowska, G. (2009): Chegemite Ca7(SiO4)3(OH)2 - a new humite-group calcium mineral from the Northern Caucasus, Kabardino-Balkaria, Russia. European Journal of Mineralogy 21, 1045-1059.
ⓘ Black Rock Mine ? Calvo, M., Calvo Sevillano, G., Viñals, J. y Sanz, A. (2010). Presencia de ettringita y thaumasita en vacuolas de los basaltos del Campo de Calatrava (Ciudad Real). Macla, 11, 53-54. Mineralogical Magazine 1988 52 : 411-414. Palache, C., Berman, H., & Frondel, C. (1951), The System of Mineralogy of James Dwight Dana and Edward Salisbury Dana, Yale University 1837-1892, Volume II: 590; Anthony, J.W., et al (1995), Mineralogy of Arizona, 3rd.ed. : 217; Butler, B.S., et al (1938b), Geology and ore deposits of the Tombstone district, AZ, AZ Bur. Mines Bull. 143. Murdoch, Joseph & Robert A. Chalmers (1960), Ettringite (“woodfordite”) from Crestmore, California: American Mineralogist: 45: 1275-1278; Mineralogical Magazine (1962): 33: 59-64; Murdoch, Joseph & Robert W. Webb (1966), Minerals of California, Centennial Volume (1866-1966): California Division Mines & Geology Bulletin 189: 180; Berry, Leonard G. (1963a), The unit cell of ettringite: American Mineralogist: 48: 939; Carpenter, A.B. (1963), Oriented Overgrowths of thaumasite on ettringite: American Mineralogist: 48: 1394-1395; Pemberton, H. Earl (1983), Minerals of California; Van Nostrand Reinholt Press: 265.